Men's fashions all start as sports clothes and progress to the great occasions of state. The tail coat, which started out as a hunting coat, is just finishing such a journey. 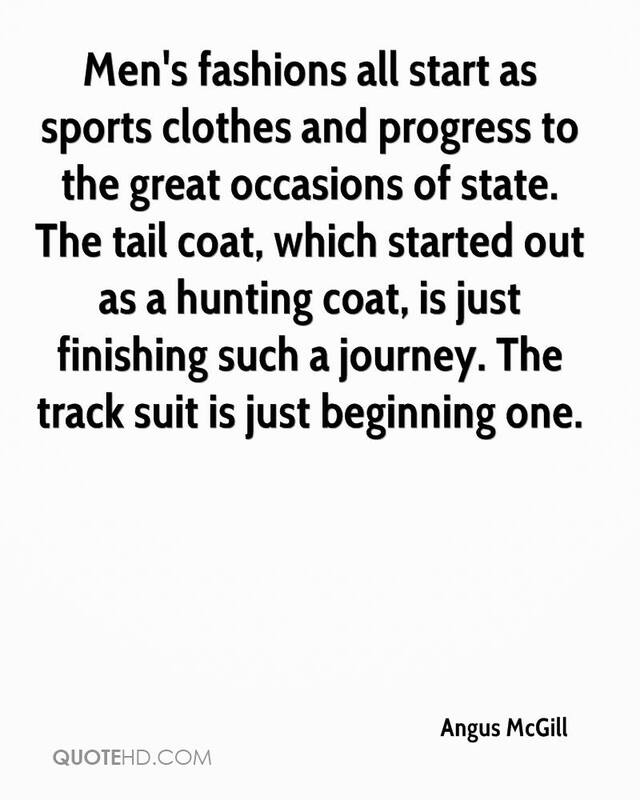 The track suit is just beginning one.